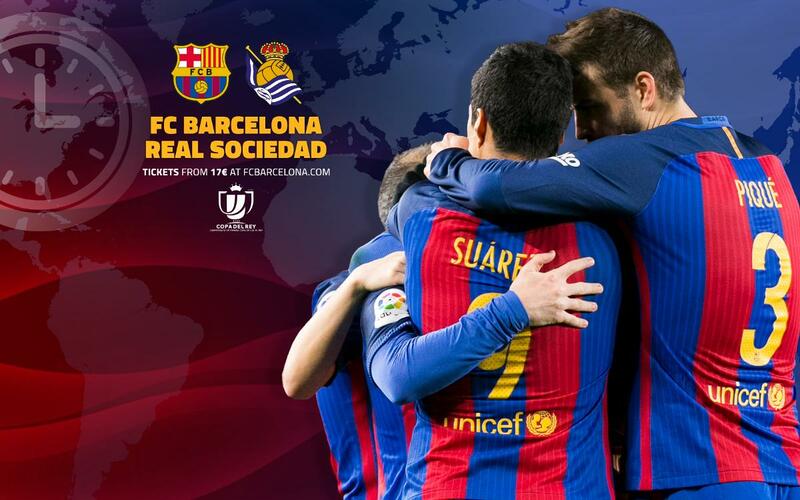 FC Barcelona face Real Sociedad in the second leg of the Copa del Rey quarter-finals this Thursday at 9.15pm CET. Luis Enrique’s men want to ensure they qualify for the semi-finals of the cup competition following his side’s single-goal winning margin at Anoeta given to them by Neymar Jr’s strike. The Blaugranas are looking to stay in the competition in an attempt to win the cup for the third year in a row.To find out when the game is kicking off where you are, you might find this guide useful. You can also see what channels are screening the action live on TV. If it’s not being shown in your country or region, then you can always listen in to our live English commentary on Radio Barça and there will also be regular updates on our official social media networks.